Far too many cases of diabetes go undiagnosed and untreated until the symptoms become so severe that they cannot be ignored. A blood glucose-level test at FastMed Urgent Care is an excellent preemptive approach if you have risk factors for diabetes. FastMed walk-in medical clinics are located through AZ and NC – just use your zip code to find a location near you. In recent years, diabetes has breached the top ten causes of death in the U.S. If you have a history of diabetes in your family or are experiencing symptoms, please visit FastMed for a blood glucose-level test. The three conditions below are examples of complications often associated with diabetes. If there is a history of diabetes in your family, please come to FastMed. We’re open every day of the year in the early morning and late evening. If you have diabetes, your chances of having a stroke are 1.5 times higher than in people who don’t have diabetes. If you are a diabetic with a family history of stroke or you smoke, please talk to your doctor at FastMed about reducing your risks. People with diabetes often deal with foot problems. Diabetes causes blood vessels in the foot and leg to narrow and harden, limiting circulation. People with diabetes can experience nerve damage in their feet (neuropathy), developing foot ulcers and calluses that build up more quickly than normal. Since diabetics have poor circulation and difficulty fighting infection, they are far more likely to have a foot or leg amputated than other people. DKA is a potentially life-threatening condition. It involves an electrolyte imbalance that develops in diabetics when the cells do not get the sugar they need for energy.The body breaks down fat in lieu of sugar and releases ketones into your bloodstream. When your ketone levels are high, it is a warning sign. 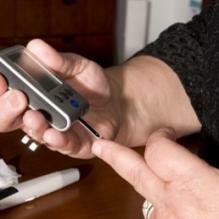 If your blood sugar levels are also high, you may want to seek medical attention.